Try Hockey for Free Day is sponsored by Glacier Hockey Association and USA Hockey on Saturday, November 10th. This event encourages kids, ages 4 to 9, to come try youth hockey as part of Come Play Hockey Month. Stumptown Ice Den from 2:00 - 3:15. Come at 1:30 to gear up! 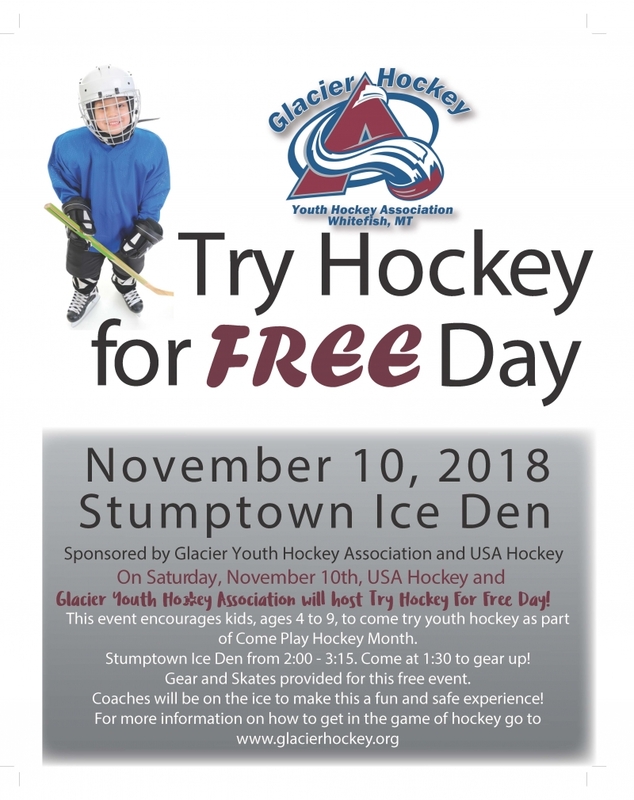 Gear and Skates provided for this free event. Coaches will be on the ice to make this a fun and safe experience!